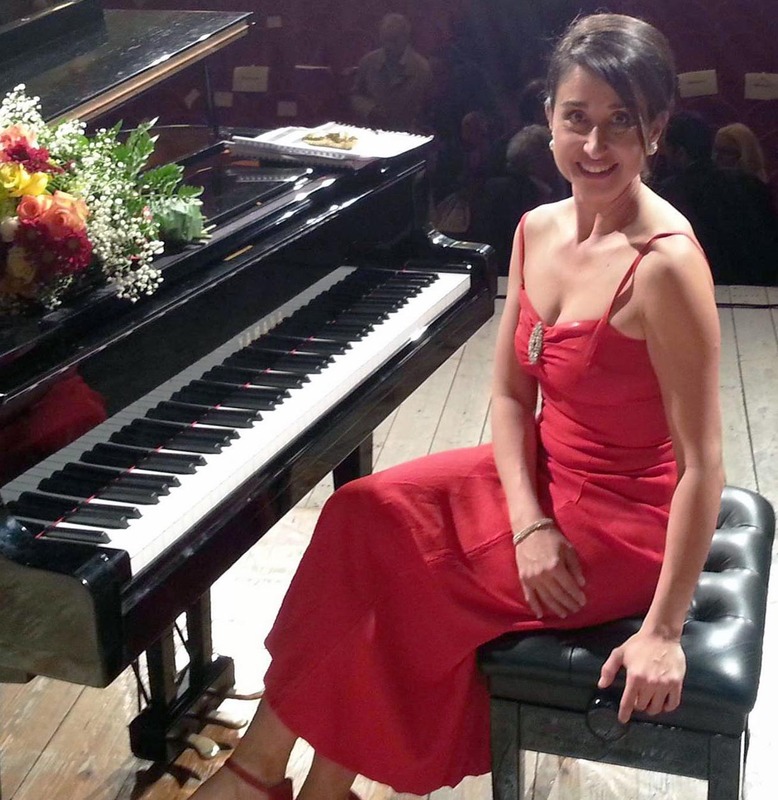 ROUND TOP, NY – Guest artist and well-known Italian pianist, Simonetta Tancredi, will present a solo piano concert on Friday evening, August 22 at 8 p.m. at the Altamura Center for the Arts in Round Top. An Alfred Cortot International Piano Competition winner, Ms. Tancredi will perform works by the Peruvian composer, Alejandro Núnez-Allauca. No stranger to international concerts halls, the young pianist has performed in New York, Miami, Lugano, Frankfurt, Belgrade, Oita (Japan), Kuala Lumpur (Malaysia), Budapest, Mumbai, Buenos Aires, and in the major cities of Italy including Rome, Naples and Milan. She has appeared with conductors Riccardo Muti, Lorin Maazel, Riccardo Chailly, Kazushi Ono, Vasily Petrenko, Roberto Abbado, Nello Santi, Vladimir Jurwoski and Mstislav Rostropovich. Holding degrees in piano from the San Pietro a MaJella Conservatory at the Vincenzo Vitale School, and in harpsichord from Santa Cecilia Conservatory in Rome, Ms. Tancredi also specialized in chamber music, studying at the Chigiana Academy in Siena and at the Mozarteum in Salzburg. In 1996, after having won a competition for a chair as “singers’ coach” at the famed La Scala in Milan, Ms. Tancredi served as a master vocal coach there until 2008. In an unusual and varied solo piano program with works by the Peruvian composer, Alejandro Núnez-Allauca, Ms. Tancredi will interpret music that carries the influence of the early Christian church, dance and folk themes from South America, and techniques and sonorities from more contemporary times. The pianist was recently invited by the prestigious recording label, Deutches Grammaphon, to prepare a recording with world-famous tenor, Placido Domingo.